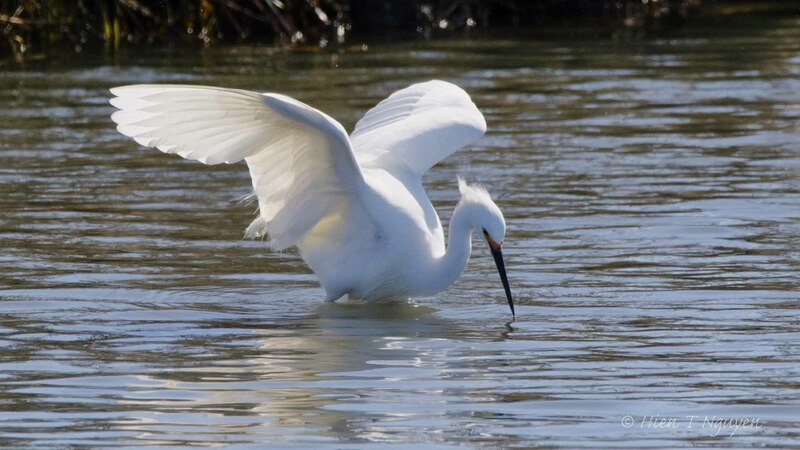 Wow very elegant looking birds! Thank you! There will be more photos of them, taken today. Maybe they were just having a good time. 🙂 It’s breeding season after all, and they have to start finding mates and building nests. 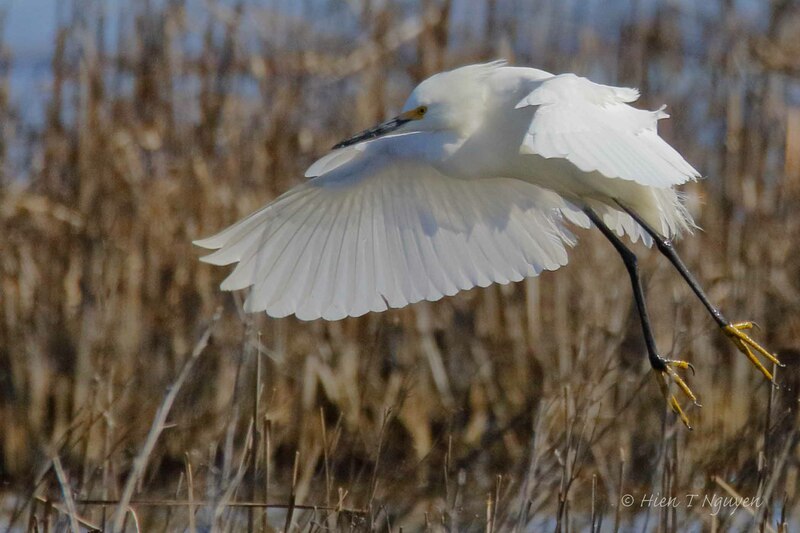 We have a few great egrets around here, but the snowy egrets are quite rare, so it was a treat to see your photos of them. You are probably right, Jerry. 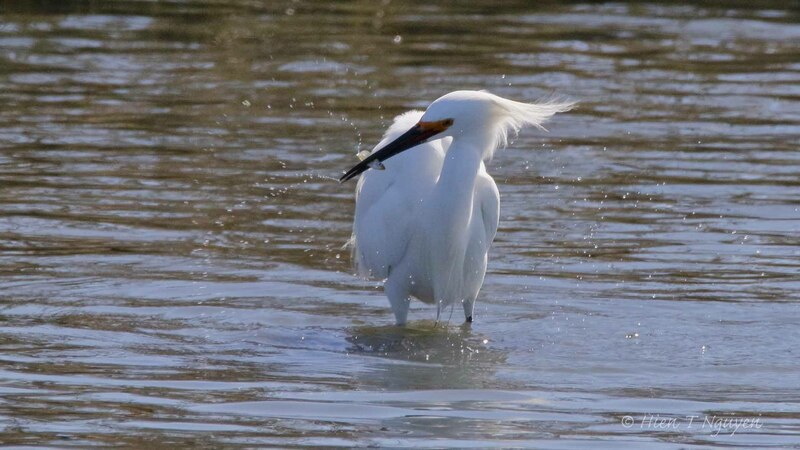 I never saw so many egrets on that small island in the middle of the pond. They were flying up and down constantly, perhaps in some mating ritual. 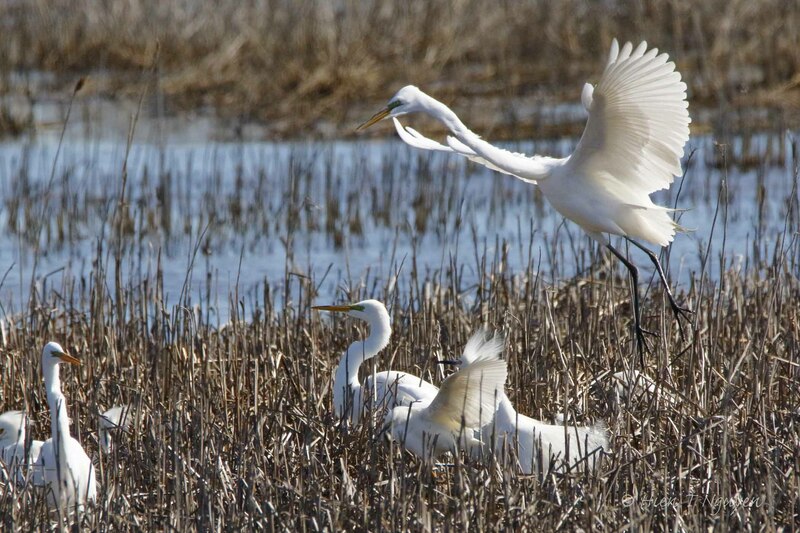 Your photos are fantastic Hien~~ I always find it wonderful to watch egrets fishing.